Almost 100 years ago, between 1924 and 1927, Stalin, the leader of the Soviet Union, created five artificial Republics named Kyrgyzstan, Tajikistan, Kazakhstan, Uzbekistan, and Turkmenistan. Due to the ethnic complexity of the region, the division was not a simple process. Not at all! Sometimes, several ethnicities were living in a single area and, in consequence, when the respective republics were created, many groups suddenly found themselves within a republic which was not theirs. Among all the partition complexities, the Fergana Valley was the most dramatic one, as the Soviet Union didn’t care about the fact that, in the valley, Kyrgyz, Tajik and Uzbek people, were all sharing the same piece of land. Stalin divided the valley as he pleased, leaving most of Fergana on the Uzbek side, as well as a confusing number of enclaves, which is a part of a country within a country, which is within the first country. Crazy. As a result, Fergana became the most troubled region in Central Asia. The Fergana Valley is a depression limited by the Tien Shan mountains in the north and the Alay mountains in the south. It is the most fertile area in Uzbekistan and in the southern part of Central Asia, hence it became the agricultural heartland in the region. For this reason, the Fergana region has been, since Silk Road times, such an important place, which can be seen in palaces, fortresses and wealthy towns. However, since the last couple of years of the Soviet Union, the Fergana Valley has witnessed several clashes, ranging from competing for natural resources between countries to a civil war and many ethnic conflicts, the last one being on the Kyrgyz side in 2010. 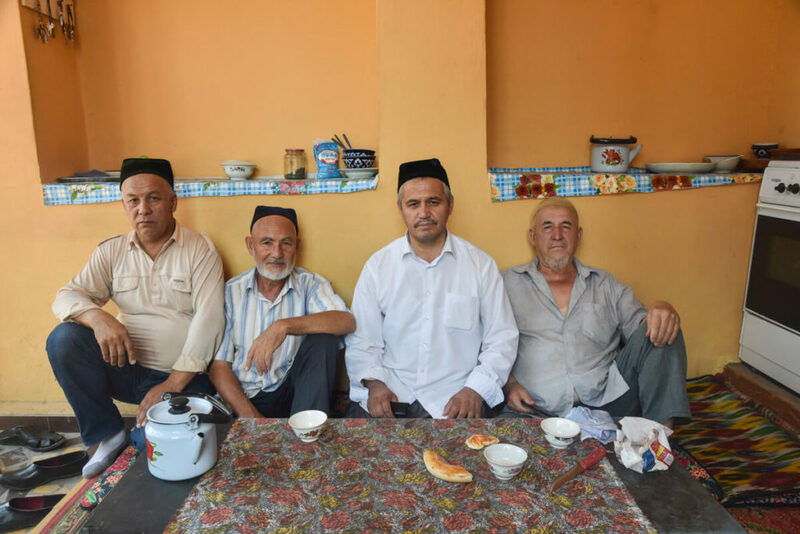 These conflicts caused thousands of deaths and, even today, relations between countries are extremely tense, especially between Uzbekistan and Kyrgyzstan. If this was not enough, the Fergana Valley in Uzbekistan is where the Islamic Movement of Uzbekistan was created, a radical Muslim group founded by the Saudi Wahabis and which even has an active base in Afghanistan. 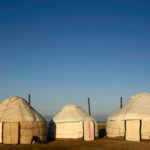 Therefore, it’s perfectly understandable that, in the last few years, the Fergana Valley has not been on the top bucket list for travelers heading to the region. So, here we are talking about a real off the beaten track destination in Uzbekistan. Why go to the Fergana region? 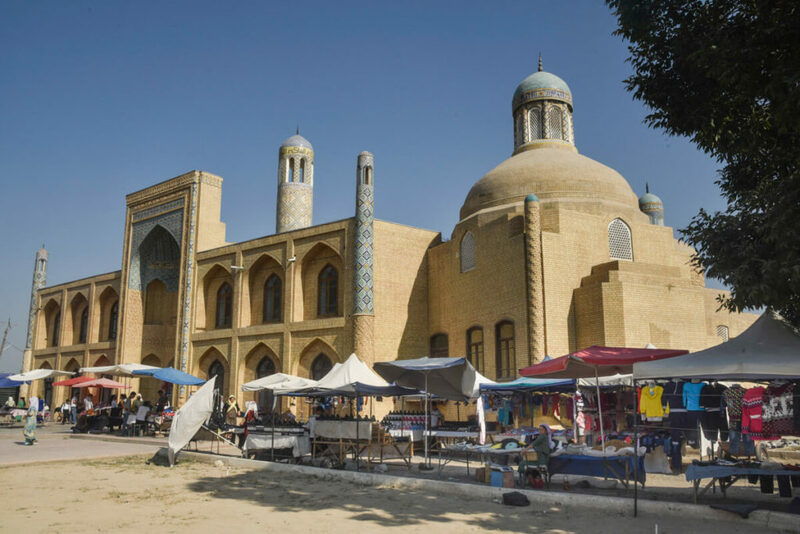 Don’t even think that the Fergana Valley is your dreamy destination for next year, where you will be wandering around stunning Silk Road monuments and souvenir shops. Bear in mind that here you won’t see the majesty you would find in Bukhara, Khiva, and Samarkand. 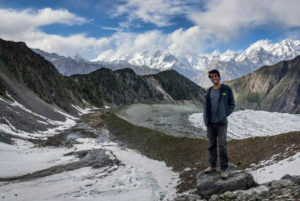 The Fergana Valley is a place only suitable for the most voracious and real travelers who prefer hanging out with locals rather than visiting historical sites. 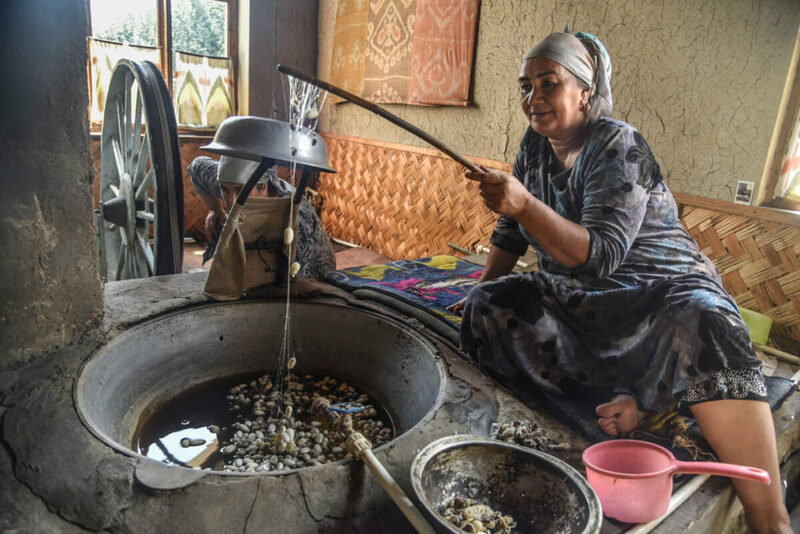 Fergana is best enjoyed at the numerous local cafés, strolling through the fancy parks while you get stopped by tens of curious locals, full of kindness, because the Fergana Valley is also home to the nicest people in Uzbekistan. 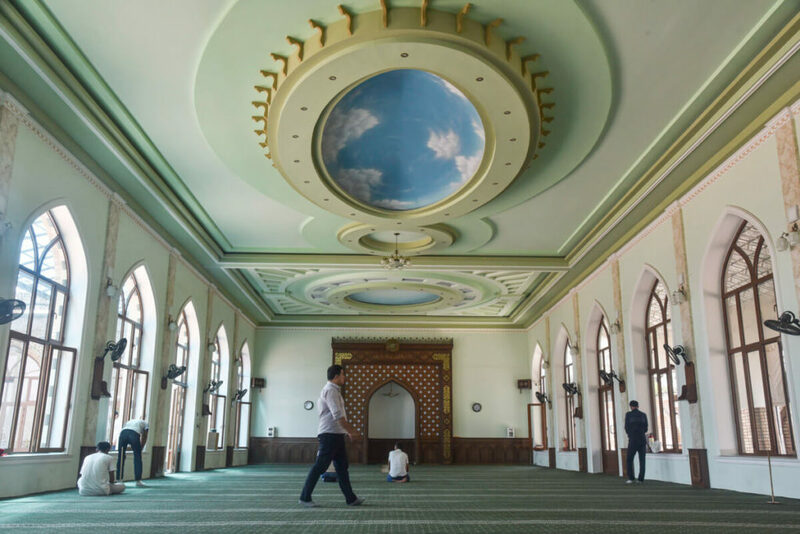 In the Fergana region, you want to go to Andijan to see where the internationally famous massacre took place and visit the Wahabi mosque of Namangan because that was the place where one of the most radical Islamic groups ever was created. Today, yes, it is. The last clash was in 2010 and, actually, it mainly happened on the Kyrgyzstan side. 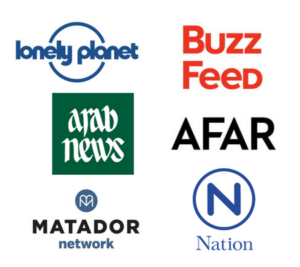 Whereas it’s completely true that relationships between countries are still tense, the region has been enjoying a certain stability in the last couple of years. Foreigners are extremely welcome and I have never heard of anyone getting into any trouble. There are a couple of cities which are worth a visit and, due to the region’s small size, all of them are easily accessible. I strongly recommend using Fergana City as a base to explore the rest of the cities on day trips. Why? Because Fergana City is a transportation hub, the most modern of all the cities and has the best accommodation in the region. 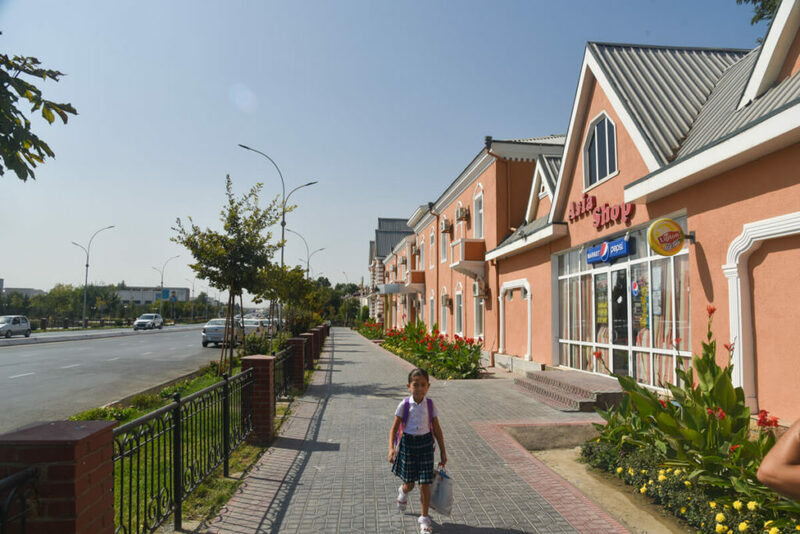 A relatively new town, only founded in 1876, Fergana City is the capital of the Fergana region, home to a large Russian population and a regional center for oil extraction. Therefore, it’s not difficult to believe that Fergana City is a surprisingly wealthy town where you can stay for a couple of days, while you explore the rest of the valley. 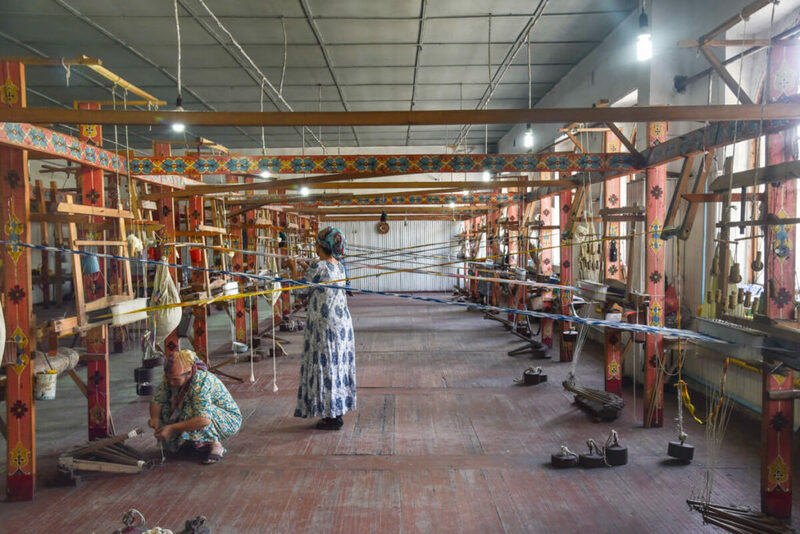 Aside from leisure stuff, there’s not much to do around town but, just ten minutes outside of the city, you find Margilan, the most important silk production center in the whole of Central Asia, which has been going on since ancient times. Here you can visit two authentic silk factories. I visited Yodgorlik Silk Factory, built in the 80s but keeping the old, traditional weaving techniques. From growing cocoons to selling the final product to retailers, here you can see the whole manufacturing process. The entrance, with tour included, is completely free! There’s a second silk factory named Margilan Silk Factory which is supposed to be very interesting as well, as it is run by the Uzbek government, using the old-fashion Soviet production system. However, I was told that you need to arrange your visit in advance but, to be honest, I couldn’t confirm it, unfortunately. Like I said, Fergana has great accommodation. Budget Guest House – Sakura – The owner is a really kind man who will make you feel at home. All the people I met throughout Central Asia agreed that this was the best place in Uzbekistan. Beds are comfortable and all the furniture is brand new. Do book in advance because there are not many rooms. Budget Guest House – Valentina Guest House – We stayed here on the first night because Sakura was fully booked. You basically stay at Valentina’s apartment, a Russian woman who is very accommodating. It’s a nice place but nothing can beat Sakura. Kokand was my first introduction to Uzbekistan, as this is the first main town you find when you cross the border from Tajikistan. Coming from the relatively poor area of Khujand in Tajikistan, Kokand was kind of a shock. You will see that the center of Kokand looks like being in California. We didn’t understand what he meant until we actually got there. Home to a beautiful Silk Road palace, the streets of Kokand belong to a wealthy town filled with fancy hotels, very far away from the image we had of Uzbekistan. Make sure to check out Khudayar Khan Palace, a stunning, architectural masterpiece and the fancy residence of a ruler in the 18th century, when the whole Fergana Valley was under Kokand’s control. The palace is composed of beautiful courtyards, as well as mind-blowing ceilings. In Kokand, there is also Juma mosque, which has some peculiar wood columns which are definitely worth checking out. Budget / mid-range hotel – Hotel Kokand – Located in a very peculiar building, this is the most budget hotel in town. 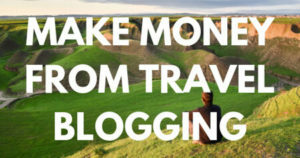 They have both budget rooms and luxury rooms, so you will find all sorts of travelers. The location is great, breakfast is included and the rooms and spacious and clean. Mid-range, much nicer – Istiklol Hotel – If you are looking for a mid-range option, this hotel seems pretty good, much better than Hotel Kokand but more expensive of course. When I arrived in Kokand, I didn’t know any hotels and all the locals were recommending this one to me. Once home to 600 mosques, Namangan is the religious center in Uzbekistan and, perhaps, in Central Asia, as well. When I went there, it felt like being in the Middle East, where I even saw women wearing the niqab, the Islamic women’s dress that covers everything but the eyes. The now-banned Islamic Movement of Uzbekistan was founded here and you can see the actual site, a Wahabi Mosque called Ota Valikhon Tur. It’s easy to distinguish it from other mosques in Central Asia as this one has plenty of Arabic calligraphy everywhere. Next to the bazaar, there is also a madrassa worth checking and Khadja Amin mosque. 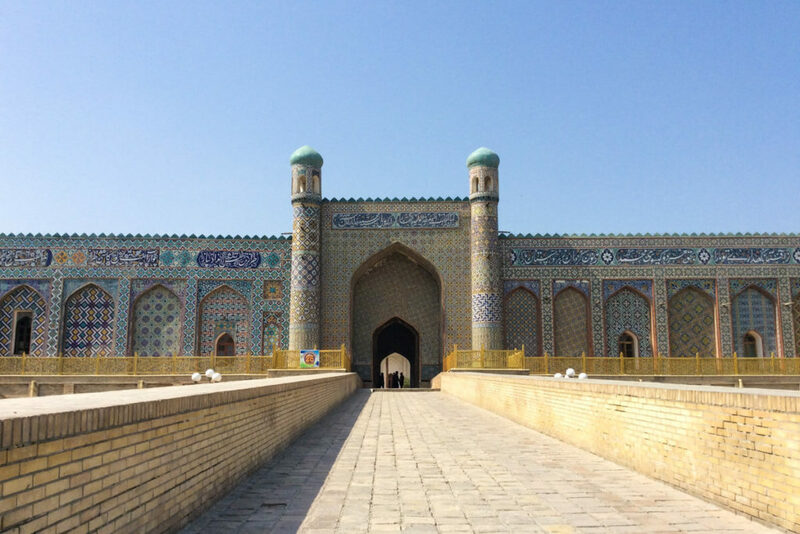 You should visit Namangan only if you are interested in exploring a real Central Asian Muslim city. In my experience, this is the only one I found in the whole of Central Asia. To be honest, I don’t know about any hotels here, as I came from Fergana City on a day trip. 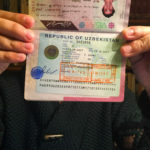 Andijan is the border town with Kyrgyzstan, which means that it’s also a transit point for overlanders in Central Asia. Besides a few mosques and friendly people, the reason to come here is merely symbolic. Here took place one of the bloodiest massacres ever, when the Government opened fire against a peaceful demonstration in 2005. If you want to know more details, read the Andijan Massacre article from Wikipedia. Budget Hotel – Andijan Hotel – Located in the city center, is the only budget hotel in the city. You can’t book it online though. Mid-range hotel – Karvon Saroy Hotel – If you are two people, this hotel has some relatively budget rooms as well and a better option than the previous one. 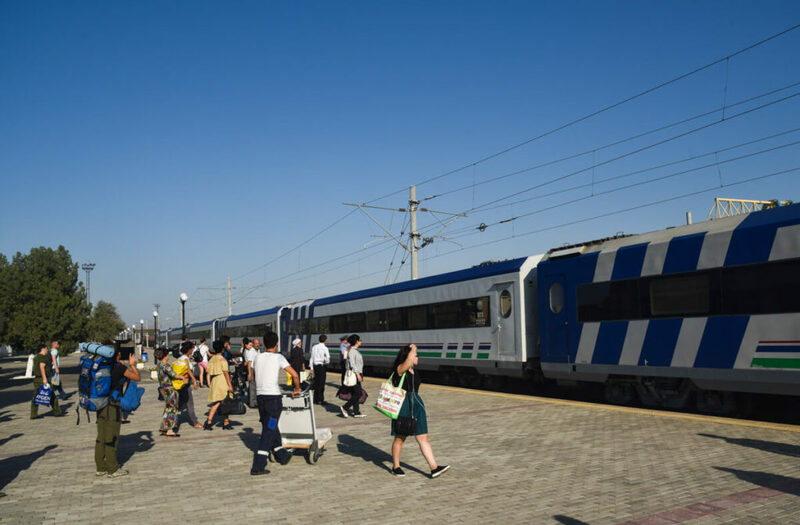 Going or coming from Tashkent – There’s a super modern and comfortable train leaving every day to Tashkent. From Fergana City, tickets cost 52,000UZS (6USD) for a 3-4-hour journey. When we were there, there was a morning train at 8am and one leaving at 3pm. They recommended us to book in advance. You can book your tickets at the bazaar. 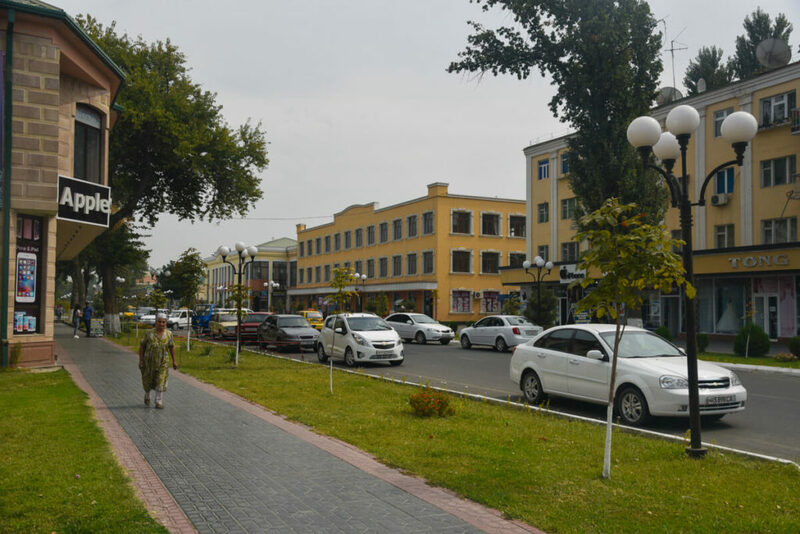 From Fergana City to the rest of the towns – If you use Fergana as a base to explore the rest of the Valley, you should know that local shared taxis leave from the main bazaar to all towns. Prices range from 2,000UZS to 10,000UZS (25¢ to 1USD). Yes, it’s extremely cheap. 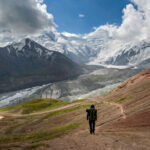 Looking to go from Fergana Valley to Osh and then to Kashgar (in China). Have heard that getting Chinese visa with this trip itinerary is challenging. Thoughts? 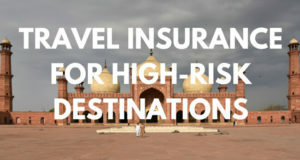 It’s better to have your visa arranged in advance. Chinese embassies in Central Asia give so much trouble. I got mine in Barcelona.